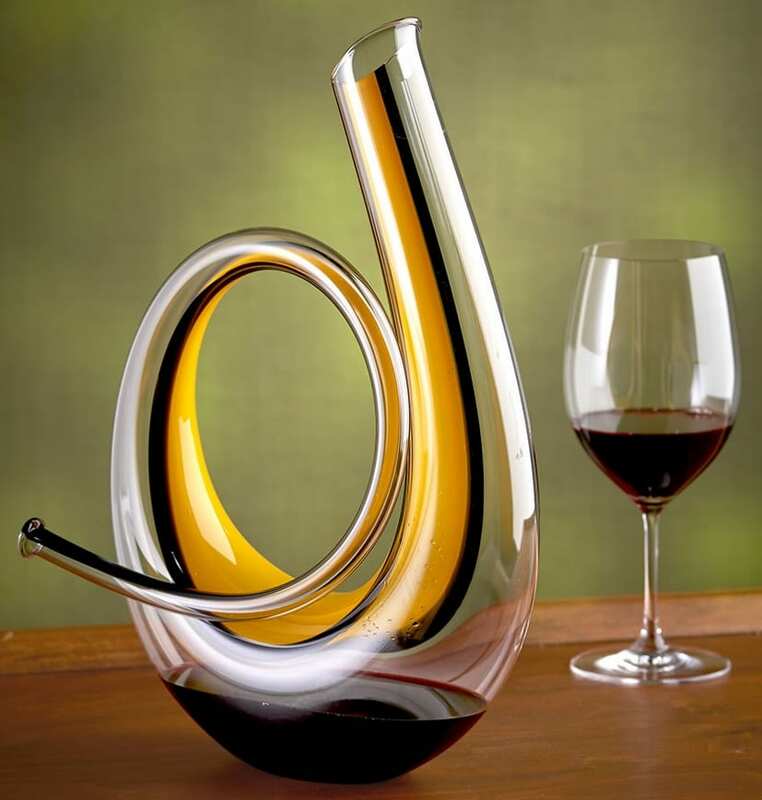 Austria by Riedel, this is the crystal decanter inspired by the iconic horn insignia used by the country’s postal service. Modeled after the musical horn, which beginning in the 18th century was blown by horse-borne postal carriers to herald the arrival of new mail, this 88-oz. decanter is formed freely without molds entirely by hand three master glassblowers. Its clear crystal color is accented by a large golden yellow stripe outlined by two black lines that follow the contours of its curved silhouette. The decanter’s open mouthpiece and bell end accelerate the aeration of wine by the creation of a vacuum within the vessel, allowing wine to be poured from either the mouthpiece or bell end.